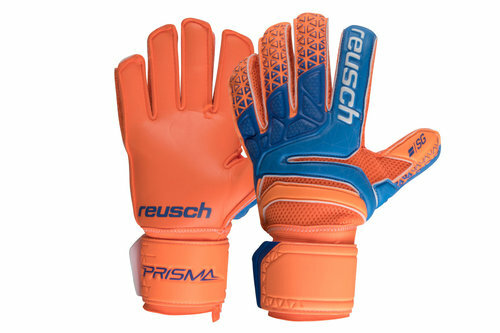 Become a brick wall inbetween the sticks and deny the opposition chance after chance when you pull on a pair of Reusch Prisma SG Extra Goalkeeper Gloves in Orange, Blue and Orange. 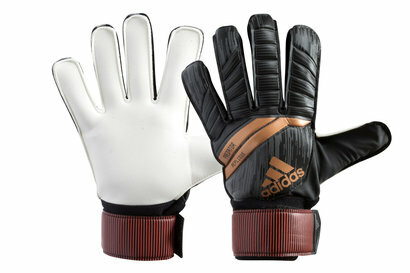 These Prisma SG Extra Goalkeeper Gloves have everything a top keeper needs to keep a clean sheet game after game. The Pro Flex™ offers excellent flexibility which improves with every performance. The Air Vent System has been developed to provide maximum ventilation within the glove, with the highly breathable outer mesh covering the entirety of the glove allowing air to pass in and out, keeping the hand cool and comfortable.